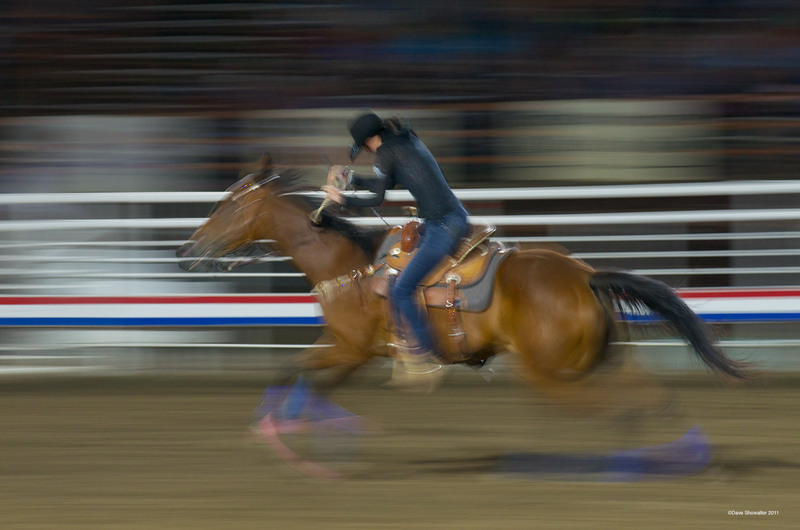 A female barrel racer contestant digs for the finish line at the Cody Nite Rodeo. A great western tradition that started in 1919, Cody has hosted a rodeo every summer night since. Photo © copyright by Dave Showalter.